Lushia first started her career in Sales and Business Development in 2002 when she was one of the top sales consultants in the telecommunications industry. It was in 2006 when she was introduced to the fascinating world of recruitment after joining one of South Africa’s largest privately owned recruitment agencies. She went on to becoming one of the top billers running a contract and temp desk as a generalist recruiter. During this time, she won numerous awards and trips around the world for not only reaching her targets but exceeding them. She loved the thrill and challenge of finding exactly what her clients were looking for and always managed to deliver yet have fun at the same time. 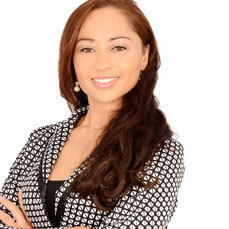 Lushia then joined of the largest JSE listed recruitment agencies in 2011 and became a financial specialist recruiter. Most of her old clients followed her and continued to work with even though she was no longer a generalist. These very same clients still work with her after all these years which can say only one thing “Excellent service = repeat business”. She then also went on becoming a top biller and has accumulated many awards for her monthly, quarterly and annual targets achieved. Lushia then tried her hand in a Talent Acquisition (internal recruitment) role for a Global Consulting house. Although it was still a recruitment function, she felt that it wasn’t the same as being in an agency. After much thought and careful consideration of running her own recruitment agency, she finally decided to take the leap of faith and jump. Luelle Consulting was born because of the passion she had for the industry and being able to relate to candidates and client’s frustrations. Alongside the other Director Lizelle Hamann who shares the same passion, they decided that this will become one of the best recruitment agencies to work with in the years to come.